Getting ready for your first class--what actually happens in a Taekwondo class? 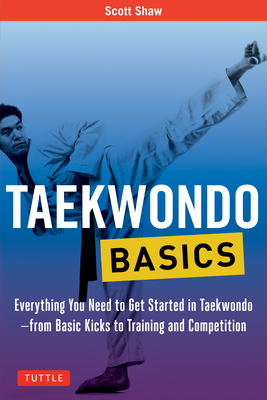 Whether you're just getting started, or you've already been training for a year or two, Taekwondo Basics offers an easy to read, yet comprehensive, introduction to the sport. Scott Shaw is one of the world's most prolific proponents of the Korean martial arts. He began training in Hapkido and Taekwondo as a young boy and today holds master instructor certifications in both. He is a frequently published contributor to martial arts magazines and has authored a number of books, including Hapkido: Korean Art of Self-Defense.